EU policies have a huge impact on port workers across Europe. But do the policymakers really understand dockers’ everyday lives? We decided to show them! 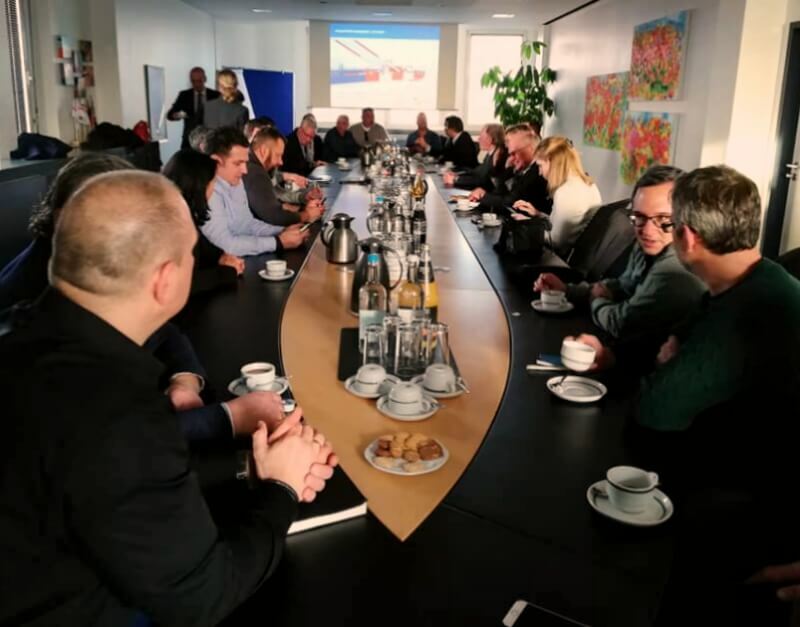 On 22 January the European social partners for the port sector (workers’ and employers’ organisations) took representatives of the European Commission to the port of Hamburg. The Commission’s directorates general for competition, employment and transport all sent staff to see the reality of port work. We visited the Ma-Co training centre, the HHLA Container Terminal Altenwerder, the Eurogate Container Terminal Hamburg and the Hamburg Vessel Coordination Centre. Our objective was to show what terminals and their workers are doing to cope with the consequences of ever larger ships and shipping alliances. The measure terminals are taking include huge private investments, the pooling of labour and coordination of vessel traffic, which are all in addition to the public investments in adapting infrastructure. We also presented the recent agreement signed by German ETF affiliate ver.di and Eurogate on the introduction of new technologies in the terminals owned by the company. The visit was a great occasion for EU decision-makers to get hands-on information, especially in the context of the ongoing revision of the Consortia Block Exemption Regulation. This exempts shipping alliances from the EU competition rules and allows them to cooperate through alliances. The event took place in the framework of the EU co-funded project The changing face of EU ports, which is being carried out by the EU-level social partners in the port sector. We are investigating the effects of market-based and technological changes in shipping on the socio-economic dimension of EU ports.